Don’t miss some of the greatest physiques of the year seen in this classic contest held in Southern California! This was only the 3rd year of the event. The DVD highlights all the action and the fantastic line-ups along with spectacular lighting and stage presentations. 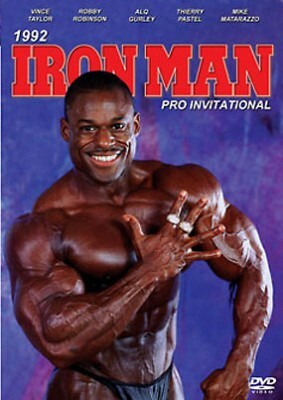 The Iron Man Pro DVDs are amongst the best pro contest DVDs available today. Special guest star was DIANA DENNIS. NP. Alan Ichinose, Jerry Rodgers, Peter Hensel, Katsumi Ishimura, Patrick Lynn.